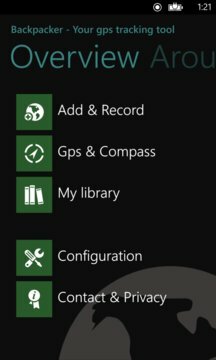 ✓ Download your tracks on your Windows Phone and enjoy the simplicity of the app: just run your route, go on geocaching or master the most difficult tours in the world! ✓ No problem! 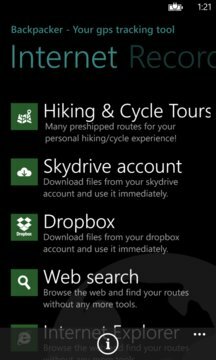 How about recording your personal tour, e. g. your favorit hiking tour, your favorit city points and sent them to your friends? Be amazed who is the fastest and who will reach the top first! ✓ And for all technology fans out there: there are also plenty of information, such as GPS Chip status or elevation charts to the tours!